The strap is an integral part of a watch; it provides both comfort and security. 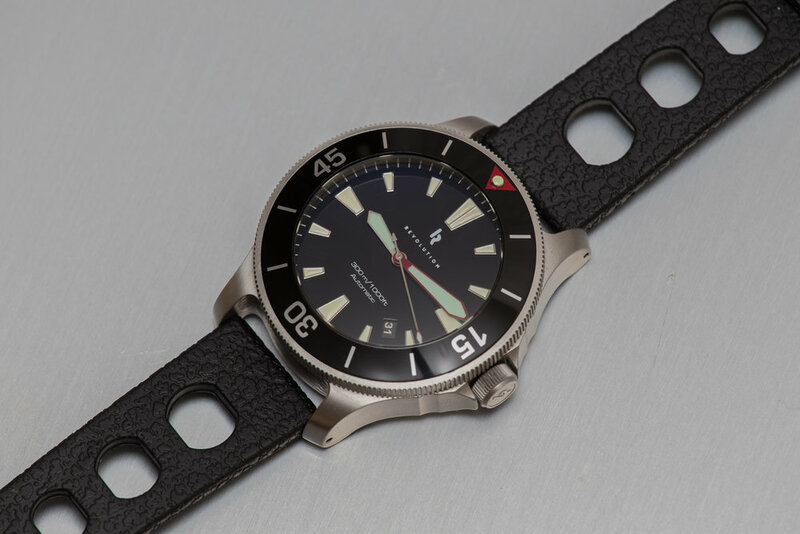 What do you get when you combine 100% natural rubber with a custom design, reminiscent of vintage watches from the 60’s and 70”s? The most comfortable, wearable watch strap ever, that’s what. The vented design allows quick dissipation of moisture so you don’t get that slippery, clammy feel on the wrist after spending the afternoon in the ocean. Who needs that? We do, and you do. Natural rubber assures no slippage on the wrist, it hugs you like it was meant to be there, and stretches just enough to not constrict your movements. The no slippage strap means you will never be wearing your watch the wrong way, on the inside of your wrist. Since it’s 100% natural rubber, it’s hypo allergenic, too! 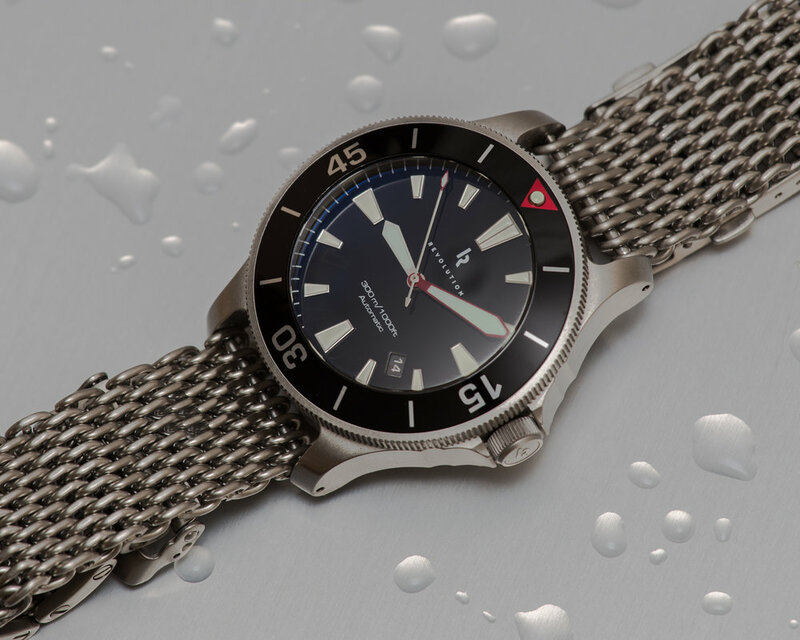 The 100% stainless steel, Swiss-made spring bars attaching the strap to the case will not rust in aquatic environments, which is a common failure point for dive watches.